Because we bundle your SSL and Intermediate Certificates into one file, you only need to install one file instead of two or three. We provide detailed instructions and walk-through videos for some of your most common IIS SSL Certificate management functions. If you have questions, our knowledgeable support staff is on hand 24/7 hours to help. All major browsers automatically trust DigiCert certificates, so you can say "goodbye" to certificate-related warnings that your visitors see when navigating to your website. To see a list of browsers that trust DigiCert, please see our Compatibility Page. DigiCert offers a wide range of SSL Certificates for IIS. The right product for you depends on your specific needs. If you need more information (then what you see below) to make your decision,visit SSL Certificate Comparison by Certificate Type. Secure your entire domain (e.g., *.domain.com), with an unlimited server license included and free unlimited reissues. Secures up to 25 names with an unlimited server license included and free unlimited reissues. Multi-Domain (SAN) Certificates are frequently used with IIS SSL Certificate implementations to secure multiple websites on one IP address or names from multiple base domains. Secure one fully qualified domain name (with and without the "www"). 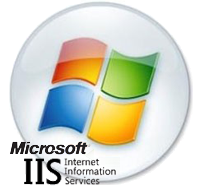 Do You Want to Set up Multiple Secure Sites on Your IIS SSL Server with One IP Address? Often customers ask us if it is possible to set up more than one site on their IIS server using the same IP address and port. The answer is "yes" if it is IIS and you are using just one Wildcard or Multi-Domain (SAN) Certificate to secure all of the sites. This IIS SSL Certificate Host Header ability can help server administrators who have limited IP addresses to work with. Do You Want to Use the Same Wildcard or Multi-Domain (SAN) Certificate on Multiple Servers? DigiCert makes it easy for you to take advantage of the unlimited server license included with all DigiCert Wildcard and Multi-Domain (SAN) Certificates. These certificates can easily be exported from one IIS SSL Certificate server and imported to another to be used simultaneously on both. If you prefer to have uniquely keyed certificates on each of your servers, then you can get free Wildcard or Multi-Domain (SAN) "duplicate" Certificates for each of your servers inside your DigiCert account. Vaya a nuestra página en español para ayudarle decidir cuál Certificado SSL para IIS que comprar para su configuración.